Teach your students how to think like scientists. 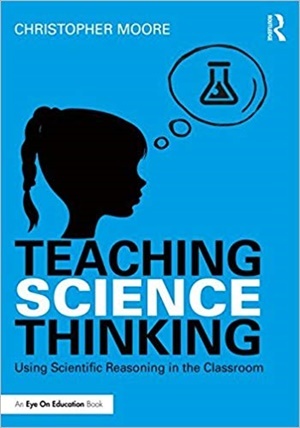 This book shows you practical ways to incorporate science thinking in your classroom using simple "Thinking Tasks" that you can insert into any lesson. What is science thinking and how can you possibly teach and assess it? How is science thinking incorporated into the Next Generation Science Standards (NGSS) and how can it be weaved into your curriculum? This book answers these questions. This practical book provides a clear, research-verified framework for helping students develop scientific thinking as required by the NGSS.